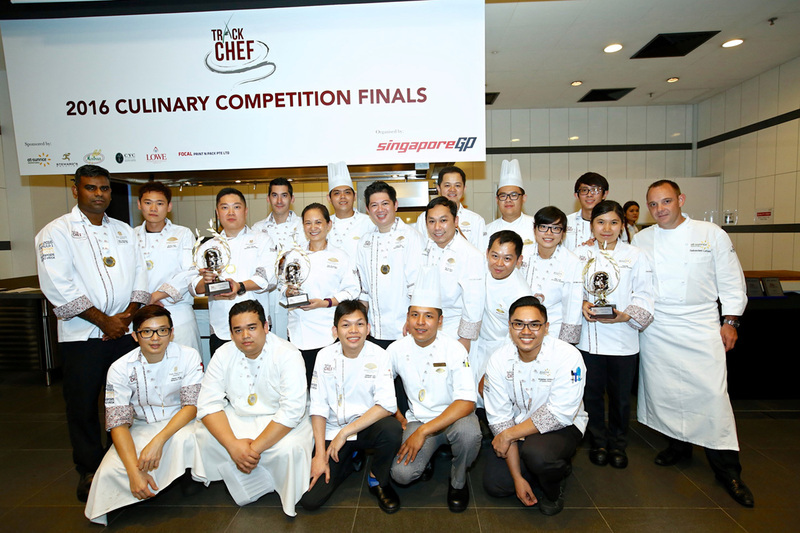 27 May 2016, Singapore - Mandarin Oriental and Pan Pacific Singapore were crowned 'Overall Winner' at the second edition of the TrackChef Culinary Challenge. 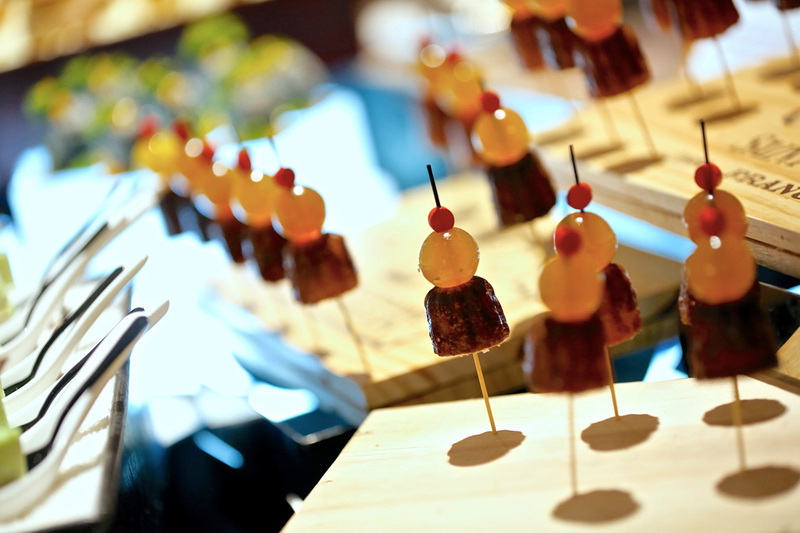 Organised by race promoter Singapore GP Pte Ltd, the finals is a culmination of a 3-month long culinary competition that saw an exciting collaboration between six five-star hotels officially catering for the 2016 FORMULA 1 SINGAPORE AIRLINES SINGAPORE GRAND PRIX. The TrackChef Culinary Challenge enables some of the best chefs in Singapore and promising student chef apprentices from At-Sunrice GlobalChef Academy to showcase their skills and talents in producing innovative creations for the hospitality suite menu for the 2016 FORMULA 1 SINGAPORE AIRLINES SINGAPORE GRAND PRIX. Chefs from InterContinental Singapore, Mandarin Oriental Singapore, Mandarin Orchard Singapore, Orchard Hotel, Pan Pacific Singapore and Sheraton Towers Singapore were divided into three teams, each comprising eight leading industry chefs from two different hotels and four dynamic chef apprentices from At-Sunrice GlobalChef Academy. This exclusive opportunity provided a platform for promising student chef apprentices to display their creativity and talent to deliver the best possible food and beverage experience for hospitality guests and to also gain industry experience by some of the best chefs in Singapore. 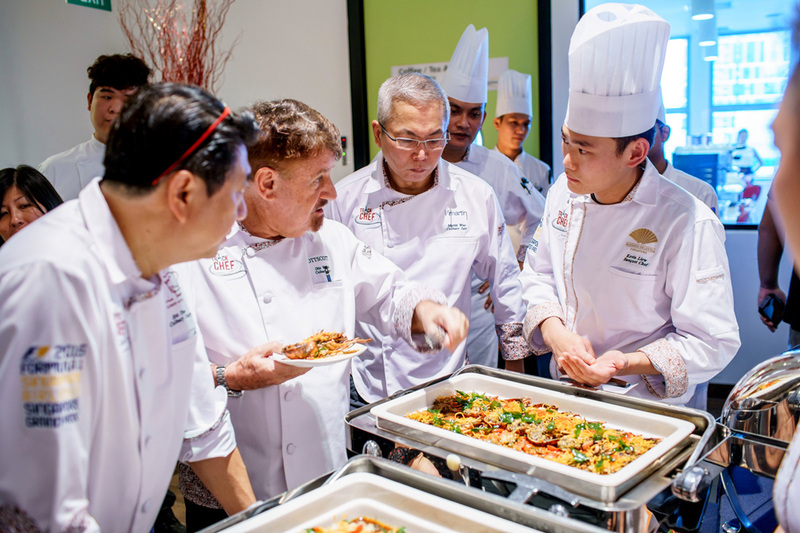 Held at At-Sunrice GlobalChef Academy, the finals saw an exciting theme of 'Euro Asian Epic' incorporated into the menu to tempt even the most discerning palate of hospitality guests. Designing a menu for hospitality guests at the Sky Suite, Club Suite and The Green Room comes with a unique set of challenges such as food preparation in an onsite modular kitchen facility, catering to a diverse international audience, and ensuring consistency in presentation and taste when catering for a large-scale event. 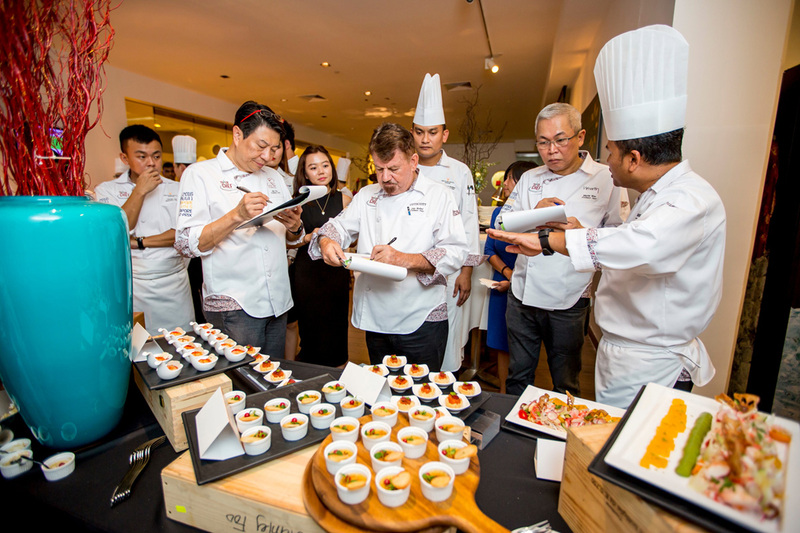 Judging the TrackChef contestants together with Singapore GP's Food and Beverage director Sunil Shamdasani are award-winning chefs Otto Weibel, Eric Teo and Martin Woo. Team 1, consisting of Mandarin Oriental and Pan Pacific Singapore chefs as well as apprentices from At-Sunrice GlobalChef Academy, emerged as Overall Winner in "Hospitality Suite Menu Planning" and swept up two other awards, "Best Friday Menu" and "Best Sunday Menu". 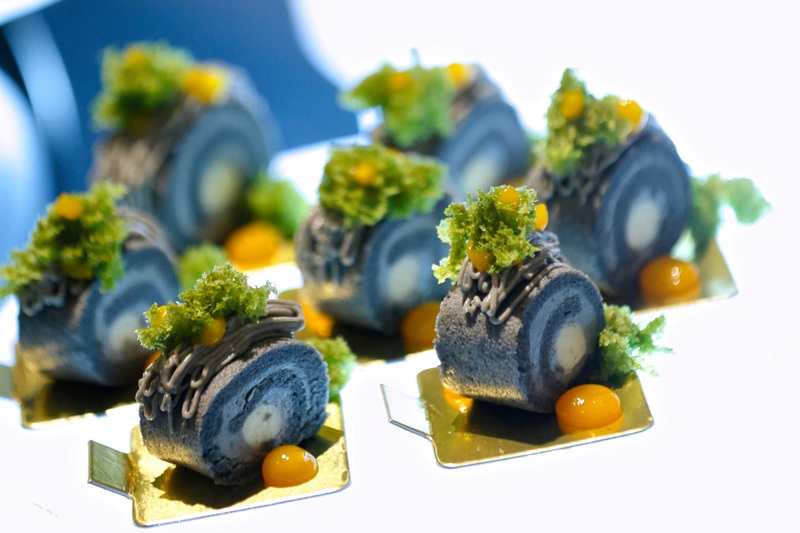 They presented their proposed menu which offered a decadent Caviar Bar with Yakuniku Waygu, Baby Abalone Sprinkled with Bonito Espuma and Lobster Roe, Crispy Crab Cake Topped with Salted Egg Yolk, Caviar and Yuzu Pearls and a luxurious array of exquisite desserts. 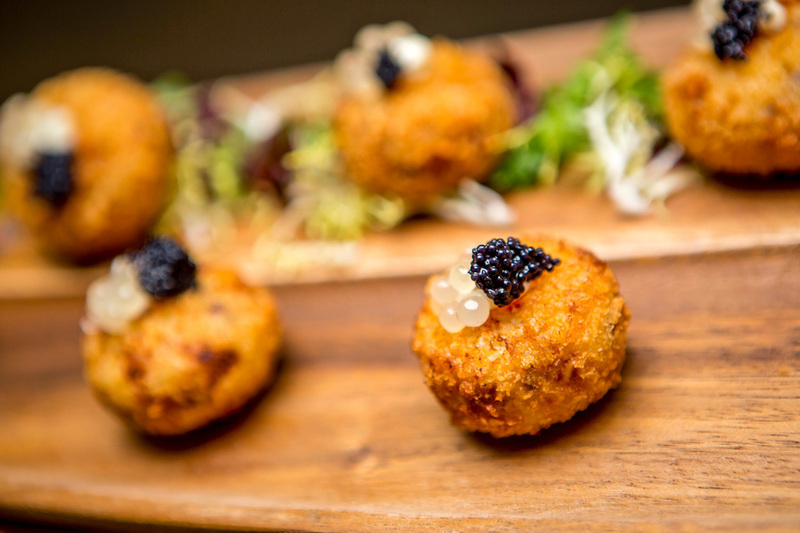 Hospitality suite guests at the 2016 FORMULA 1 SINGAPORE AIRLINES SINGAPORE GRAND PRIX can look forward to these amazing creations and more at the Sky and Club Suites from 16 to 18 September.